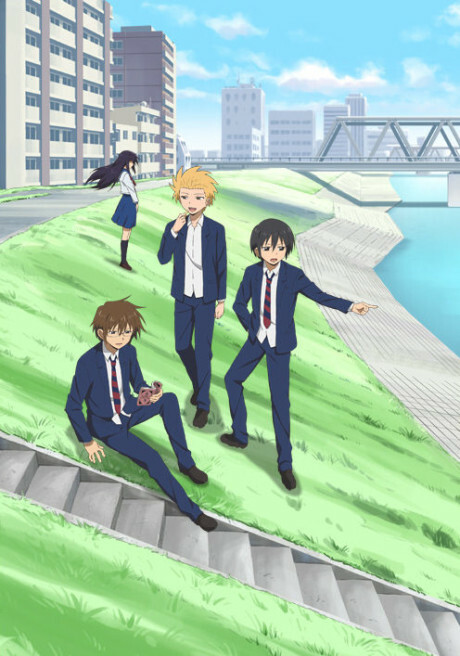 Tadakuni, Hidenori, and Yoshitake are students at the all-boys academy, Sanada North High School. This is a tale about just that—their daily lives as students. Winning the basketball tournament? Finding true love? You won't find any of that here. Whether it's sparking random arguments while hanging out with friends, meeting that one weird co-worker at a part-time job, or even letting imaginations run wild on a windy afternoon, we've all experienced the show's ordinary but true-to-life themes at one point or another.